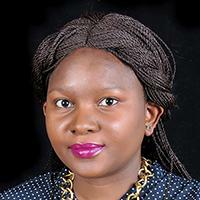 Ms. Rumbidzai Dube is a human rights lawyer with experience in the fields of human rights and international law. Her main areas of expertise include legal and policy advice; human rights, gender and women's rights research and advocacy; and organisational development. Her current work supports efforts to enhance legal and policy frameworks for the realisation of children's rights across the African continent. Her experience spans across continental and global contexts with various non-governmental and intergovernmental organisations, including the African Commission on Human and Peoples’ Rights in the Gambia, the Cairo Institute for Human Rights Studies in Egypt, the African Union Commission in Ethiopia, UN Women and the German Development Cooperation (GIZ) in her native Zimbabwe. Her policy advocacy at the continental level has included engaging the Southern African Development Community (SADC), the East African Community (EAC), key African Union policy bodies and treaty bodies specifically the African Commission on Human and Peoples’ Rights, the African Court on Human and Peoples’ Rights and the African Committee of Experts on the Rights and Welfare of the Child. Globally, she has engaged in efforts to vindicate human rights before UN mechanisms such as the Committee on the Elimination of All Forms of Discrimination Against Women, the Commission on the Status of Women and the Universal Periodic Review. She holds a Master’s Degree in Law from the University of Pretoria and an Honours Degree in Law from the University of Zimbabwe. She is also a member of the Zimbabwe Women Lawyers Association and the Zimbabwe Lawyers for Human Rights.